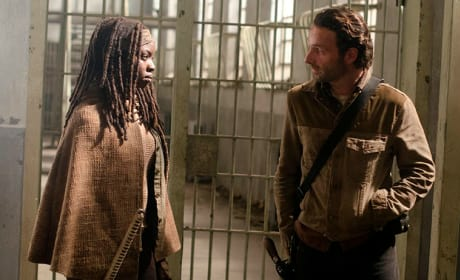 Michonne and Rick confer in this Walking Dead photo. It is from the Season 3 finale. Rest in peace, Andrea. The Walking Dead said goodbye to this character to close out Season 3. 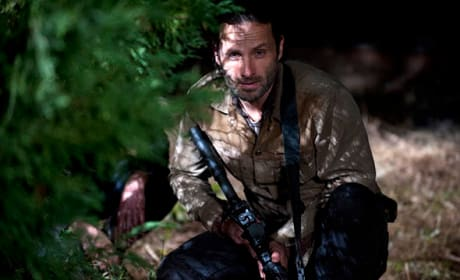 Rick is in hiding, trying to figure out his best move in this scene from The Walking Dead Season 3 finale. 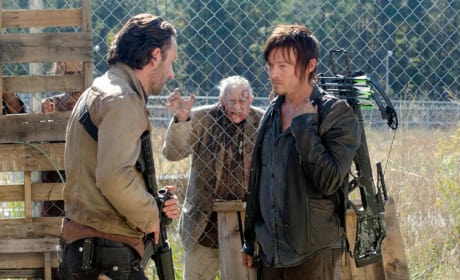 Pay no attention to that walker in the background. 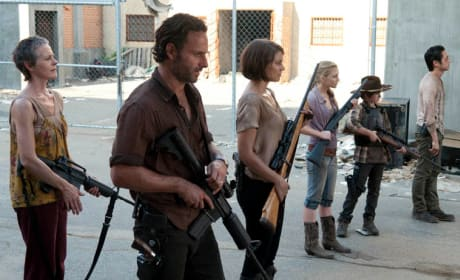 This is a scene from The Walking Dead episode "This Sorrowful Life." 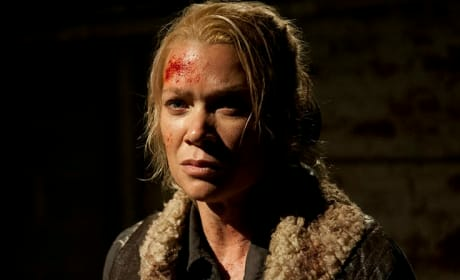 Andrea has played a key role on The Walking Dead Season 3. This is a close up of the character from "Prey." 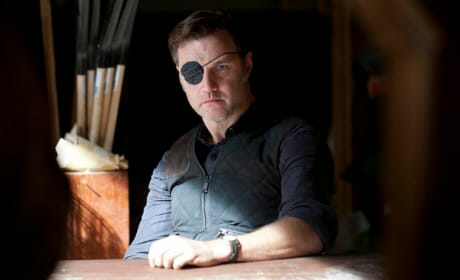 The Governor stares down Rick in this look at The Walking Dead. It's a pivotal scene from Season 3. Can we trust The Governor at all? 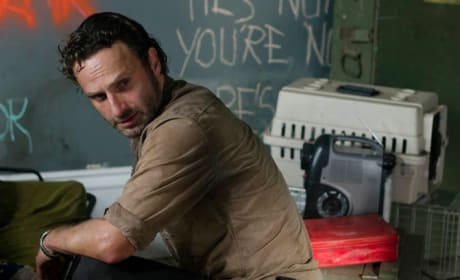 He meets with Rick in this scene from The Walking Dead. Rick has seen better days. 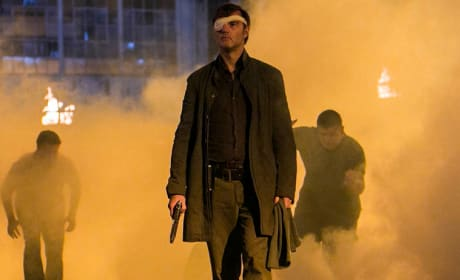 This is a photo of the character from an episode of The Walking Dead Season 3. 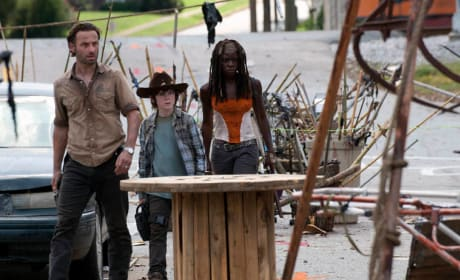 Rick, Carl and Michonne are on the scene in this sneak peek at The Walking Dead episode "Clear." Glenn has taken on far more of a leadership role on this season of The Walking Dead. 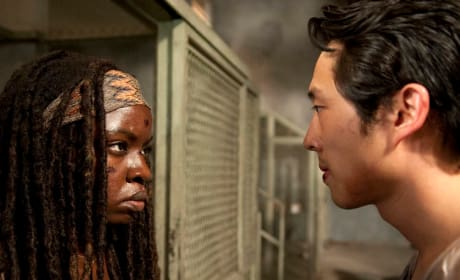 He confers here with Michonne. It's time to stand and fight. This is a Walking Dead photo from "I Ain't A Judas." 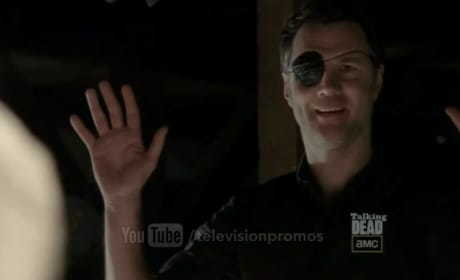 The Governor means business on The Walking Dead. Even more so now that he only has one eye. Running is not an option. Permalink: Running is not an option.